Customer loyalty is probably the most important aspect that can help any business to thrive. Whether you are building a website to sell e-commerce products or create leads, it can also be used get so much more from your customer base. The most loyal customers are usually built through networking as well as client-to-client referrals. 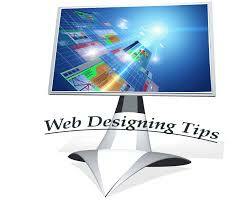 No matter what, a website’s design can used to encourage referrals. Simply put, when a website is well-designed, it can make clients feel comfortable enough to send a link to their friends and family. On the contrary, a poorly designed site will cause a business to struggle for the same reason too. Also, ensure that the contact and home pages express a business’ strengths that will help them gain maximum revenue through their networking efforts. If customers have had a positive experience with a business, then they are more likely to share content via social media. For this, you should give customers the option to share your content with the help of social media buttons. This is where website design comes in. Ensure that you add social media buttons to every page of your website. Needless to say, online transactions are rather impersonal. But even if direct engagement will cost a company money or time, then customers will definitely return to make a repeat purchase in the future. Whether this involves contact forms, phone numbers or even email addresses, placing them strategically will not only encourage engagement but also increase long-term revenue.